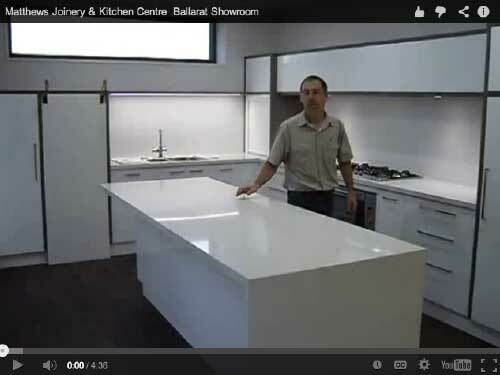 Provincial Country Timber Kitchen for a Ballarat client. It is very exciting to launch our custom range country farmers style joinery. The doors and panels are locally made at Martin’s Designer Doors and have a special 2 pak finish applied by our painters at the 2 pak shack. 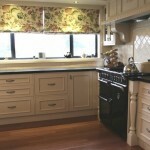 The Chimney Breast is a major feature to this style of kitchen. 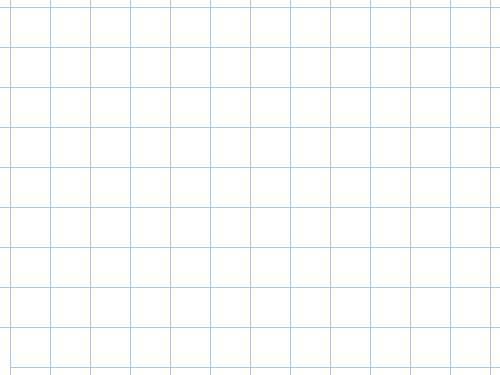 We can adapt our designs to suit your ideas. This kitchen has the wide shelf supports rather than the cabinets that rest on the bench as bench space was a major consideration for the design. We have an alternative Chimney Breast design on display in our showroom. 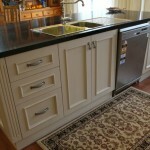 The Island bench also contributes to the overall wow factor of this kitchen. It is a large 1200 wide bench with rear facing display cabinets. The beautiful lighting chosen by the client really compliment this country farmers style of joinery.The benchtop is a 40mm reconstituted granite from the ROXX range – in Voodoo. 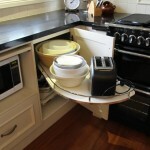 Modern Storage ideas in a Country Farmers Provincial Style Kitchen. The corner cabinet is the bane of most kitchens! 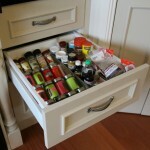 We have clever storage ideas to make these cabinets so much easier to access and use. This corner houses two kidney shaped pull out shelves. We also have a wire pull out system on display in our showroom that would be one of our most popular hardware items! The microwave just doesn’t look good on display in a country farmers kitchen. The solution is to hide it. 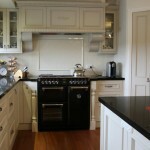 Here we have used a door that lifts up and pockets to the top of the cabinet to allow access when needed. 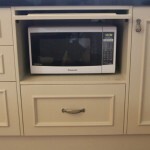 If you use you microwave a lot, however you may find this a waste of time as the door will probably stay up! We could look at alternative ideas if this was the case. 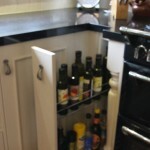 Besides the lovely Belling Oven we have more clever ways to store bottles and spices. 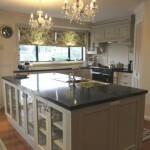 To the left is a pull out bottle rack and the drawers to the right house cooking utensils and spices. The back of the island has been used to create a display area. This can be used for seating if the cabinets were to be omitted. 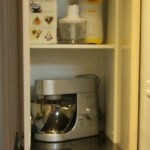 There is a small cabinet beside the fridge which we used as a small appliance cabinet. It is nice to have those heavy mixers plugged in and ready to go, rather than having to pull them out of a cabinet and lift them up onto a bench. You can take this look anywhere you want. 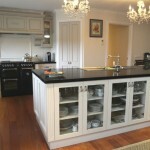 With Matthews Joinery’s Provincial country farmers range we can take the look in many directions. 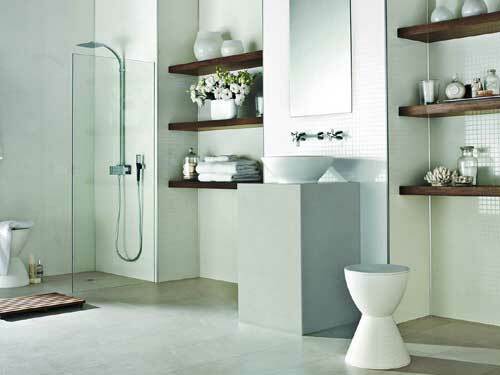 You can add more decorative pieces and really take it to the next level, or you can peel it back to a much more minimalist style that becomes the Hamptons look. 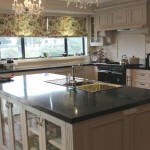 We have examples of the Hamptons style kitchen on our website too. 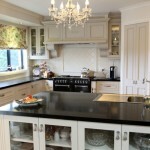 So call us to make a time to discuss your project or drop in to see our displays at our showroom. All you need to bring to your consultation are some rough measurements and a list of your storage needs and we can work out a design that will work for you.